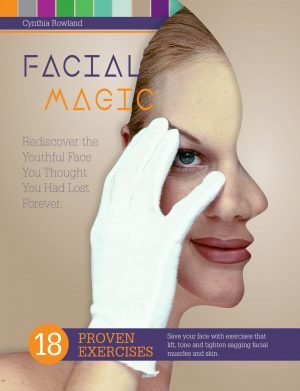 Treat fine lines and wrinkles, enlarged pores and acne scars. Want your skin to look better and better? Well, here’s a solution: Try our SkinRehab Dermaroller. This handy device boosts the performance of your skincare products so that collagen and elastin production is enhanced. The SkinRehab Dermaroller goes after fine lines and wrinkles, acne scars and enlarged pores. 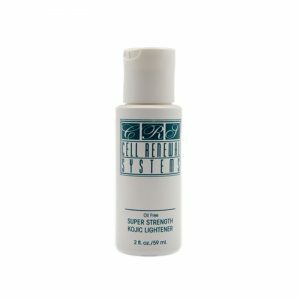 Even hyperpigmentation can improve with continued use. Yes, you can use it around your lips, your neck and even your decolletage. We offer two needle sizes – 1.5mm and 2.0mm – Choose 1.5mm for treatment of fine lines & wrinkles. Choose 2.0 for treating deeper lines and scarring. 1. Exfoliate your face before using. 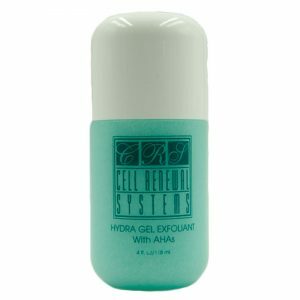 We suggest Hydra Gel Cleanser with 3% AHAs. 2. Use only on clean skin. 4. Roll only 3 or 4 times – horizontal, vertically and then diagonally across your cheeks, forehead, lower mouth, upper lip and even very gently under your eyes. DO NOT SHARE your device. Disinfect before & after each use with alcohol. 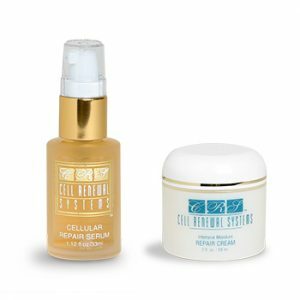 Follow the rolling with any of these fine products: Cell Renewal offers all of these – Epidermal Growth Factor, Cellular Repair Serum, Retinol, Vitamin C Serum. Use this device once a month. More is not better.